Singer and bassist of the progressive rock band Rush. He was inducted into the Bass Hall of Fame by Guitar Player magazine. He changed his name to match the way his mother would pronounce it with her thick accent. His band was the first rock band to be honored by the Order of Canada. He married Nancy Young in 1976 and they had two children together. He was friends with Alex Lifeson when he was young. 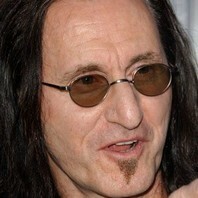 How much is Geddy Lee worth?